This is open to anyone interested in DPRD sports, but we will go over all programs that is offered. Incentives of coming is parents will leave with a better understanding of what we do and why we do it. Have questions about why something is done a certain way, please come. How do I register? The easiest way to register is by visiting our website, choosing youth athletics, then the sport you wish to register for. If you do not have access to a computer, you can come by the James Brown Recreation Center located at 904 Civic Dr. or the Mack Gaston Community Center located at 218 North Fredrick Str. How do I know when to register? Easiest way to stay current on when registrations opens is to make sure you sign up for our text messages. We use the text messages as our first and most used form of communication. We also use a variety of different information outlets such as Facebook, email blast, the Daily Citizen Newspaper, and sending flyers to Dalton Public Schools. By visiting our website you can find registration dates on each sports page. What age can my child start playing sports? For all team sports the earliest we allow children to play is 4 years old. Each sport will have a different cutoff date. The cutoff date is the last date a player is considered to be a certain age. If I live outside the City of Dalton can I still register for activities? Yes we treat every person the same. Whether a person lives in the City of Dalton, Whitfield County, or outside Whitfield County all of our youth sports are open to anyone wanting to register. How much does it cost to register for an activity? See the chart below for ages and cost of each activity. First to come by OR call will be placed at the top of the list (age specific if dealing with sports). The Recreation Department would then call the FIRST person listed on the waiting list to let them know about the playing opportunity. All wait listed players will be treated like “Free Agents”. The school the player attends will not be considered when placing him or her on a team. If that participant, for any reason, chooses not to play when called by the Recreation Department they will be immediately taken off the list with no possibility of playing for that season. How do I become a coach? Dalton Parks is a volunteered based program, meaning we do not pay our coaches. We always need more volunteers, especially with coaching. We take coaches registration at the same time as player registration. To register go to our website www.MYDPRD.com go to youth athletics, followed by the sport you are interested to coach. There will be a coaches’ registration tab on that page. EVERY coach or parent that is in contact with children will be required to submit and pass a background screening. We do require each HEAD COACH to take a Free certification course. For more info on coaching please go to the Coaches Page. What comes after registration? When you register for any activity you will be given a evaluation date. Please be sure to know when this date is and attend. The date is when you child be evaluated for placement or will have his/her first practice. It is very important for the players to be at the first workout. This will allow us to make teams as competitive as possible. How does the draft work in all sports, other than FOOTBALL? In all sports, other than football, we will be using the Dalton City Elementary Schools to divide our teams. We feel it is important to the players to get to play with kids they are friends with. If a kid goes to Roan School he will be on a team with other Roan School kids. Children will be placed on a team based on the elementary school that they will, are, have attended. This will be the list of schools that we use. Free Agent Pool based on Whitfield Co, Murray Co and any other schools not listed above. And also City players declaring to be a free agent. All children from non-City of Dalton schools. Meaning any player from a Whitfield Co., Murray Co., or any other surrounding school district, homeschooled, or private school players. Any City of Dalton player can declare himself or herself a free agent. This has to be done before the draft. Once the draft is complete he or she has to remain on the school team that he or she was assigned. i.If a player declares himself or herself a free agent then the player WILL NOT be assigned to that schools team, but WILL NOT get to control what team he or she goes to. Only players from the SAME school zone will be considered. The same 2 players have to request the same 2 players. For example, if Johnny Smith puts down Bobby Jones, Bobby Jones has to put down Johnny Smith. If Bobby Jones puts down any other kid then we will assume that that carpool is not necessary for both, and the carpool will not be considered. NO CARPOOL REQUEST IS GUARANTEED. i.If we have more than the max roster numbers for each sport from the same school then we will conduct a draft for that school only. For example, in basketball if we have 14 players from Roan Street School then we would meet with the Roan Street coaches, and conduct a round by round draft until each team had 7 players. At that time we would then follow the process to even the number of players on those teams to match the other teams in the league. i.DPRD will consider the number of players on each school based team and what it would take to fill the teams to even and full rosters. If there are numbers for a free agent team or teams to be formed we will allow the free agent coach to choose up to 1 less than the minimum to be considered a school team. For example, in basketball, a free agent coach would be allowed to choose 3 players off the free agent list before DPRD randomly separated the remaining free agents to all the teams. If there is enough for 2 free agent teams, after the school teams are filled, then we would rotate the choices for the free agent teams, to that minimum number. We will start all drafts by taking the oldest age group first in the draft, followed by the younger. Also, all returning All Stars will be drafted first so that we can get an even distribution of All Stars and each age group. How does DPRD divide teams for football? We will hold BLIND drafts for football because the number of children needed to make football teams is larger than other sports. After the 2 day evaluation and camp, the coaches will meet and run a blind draft. For more info on the blind draft please visit the Coaches’ Page. How do I find out what team my child is on? On the DPRD website go to the Youth Athletics Page, choose the sport your child is playing, on each sports page there will be rosters for each age group. Also, after the drafts, coaches should be calling their players. When do practices start? Practice schedules will be on each team page on our website. Again you can go to the team pages by going to the Athletics-Youth Athletics-Sport-Age Group-and finally team page. What do I need to get my child for each sport? Below is a list of sports and what the child will need to supply. Basketball – Player supplies soft sole athletic shoes, black athletic shorts. DPRD provides the jerseys. Baseball & Softball – Player supplies age appropriate glove. DPRD supplies the jerseys, pants, socks, belts and caps, for ages 6-14. DPRD only supplies caps and jerseys for 4-5 year olds. Lacrosse - Player supplies stick and pads. DPRD provides jersey, helmet and shoulder pads. Drafted Soccer - Player supplies athletic shoes and black athletic shorts. DPRD provides the jerseys. Football - Player supplies athletic shoes and mouth piece. DPRD provides jerseys, pants, shoulder pads and helmets for ages 6-12. 4-5 flag football players need to also have a black pair of athletic shorts. Cheerleading – Each cheerleader is required to supply their own uniform. All DPRD cheerleaders use the same uniform. Once the uniform is bought it can be used every year. Volleyball – Player supplies soft soled athletic shoes and black athletic shorts. DPRD provides jerseys. When will my child get his / her uniform? We order the uniforms as soon as teams are drafted. Every attempt is made to have uniforms to the teams at least a week before the first games. What about pictures? CLC Photography is the ONLY company that can do pictures for DPRD. We have a contract with them so please do not ask any other companies or individuals to take pictures. We will NORMALLY have a picture day for each sport that is during the first week of the season. These are usually on a Saturday. All pictures should be paid for on the date the pictures are taken. Will there be postseason tournaments? Yes, in leagues that we keep scores and records, 7-14 years old, we will have postseason tournaments. We use the regular season to seed our tournament. The winner of the tournaments will be our league champions. Does my child get a trophy? DPRD does not give participation trophies. We supply trophies to the tournament 1st and 2nd place winners. 4-6 year olds do not play tournaments so we do not give trophies for those age groups. We encourage parents and coaches to purchase trophies as a team. At what age can my child participate in All Stars? Dalton Parks play within the Georgia Recreation and Parks Association for all All Stars. 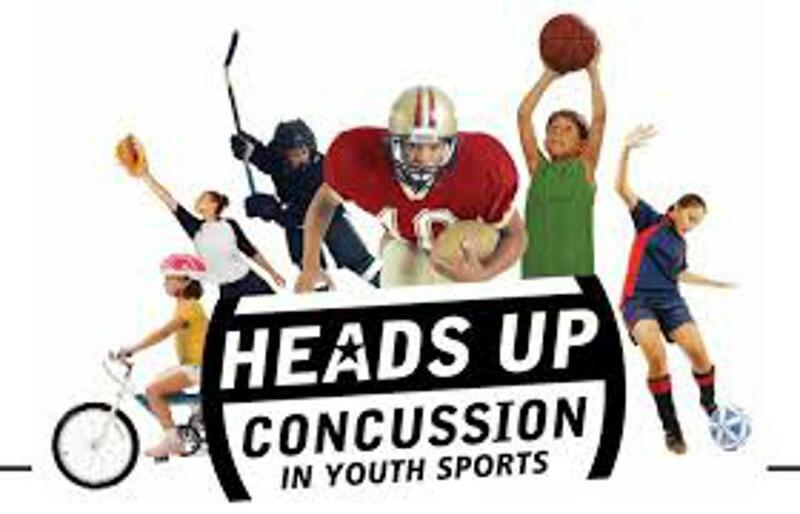 GRPA rules are clear that every player MUST be 7 yrs old by the particular sports cut off date. How do the All Star teams get chosen? The All Star process works in the following stages, 1. Determining how many teams from each age group will be formed. 2. Coaches selection. 3. Player nomination. 4. All Star Evaluations. 5. Team Chosen. To keep our All Star teams as competitive as possible unless a league has more than 10 teams, we will ONLY have 1 All Star team. The only exception to this is football; the number to have 2 teams will be 15 teams. We ONLY vote on the coach that will be the HEAD COACH of each All Star team. Every head coach from the league is eligible to be the Head Coach. Every head coach in the league will vote for 2 coaches, one vote can be for him or herself. The total number of votes for each coach will be counted. If there is a tie then only the coaches that are tied will be voted on again with each coach casting only 1 vote. If the vote is still tied DPRD staff will make the final decision. The Head Coach will then name his assistant coaches. If more than 1 team will be made then the #2 coach in the voting will then name his assistants. Each head coach from the league will be given the opportunity to nominate players for the All Star evaluations. Each coach may nominate as many players as he/she would like. Coaches are encouraged to keep the nominations to ONLY players who have a legitimate chance of making the team. Each child nominated will receive an invitation to the All Star evaluation. Evaluations are not mandatory. Players who can’t make the evaluation can still make the All Star team. Evaluations will be very sport specific with scrimmages so each child can be evaluated against the best players in the league. The team will be chosen by the head coach. How long will my child and family be involved with All Stars? If a player accepts a bid to participate with a DPRD All Star team, then the player and family is accepting the responsibility to be involved from the first practice to the end of the GRPA state tournament. Each DPRD All Star team will play in the 5th District tournament. If the team places high enough to go to the state tournament then the player and family are required to be involved. If a player can not fulfil his commitment then he or she will be put on a red flag list for 1 year (1st offense). If it happens again in any sport that player will have his or her All Star privileges revoked indefinitely. We do this because we cannot have alternates to fill their spot. You will be required to provide transportation and possible overnight accommodations (State Tournaments) to all practices and games.